Image: Swedishnomad.com - Alex W/Shutterstock. With April peeking its head around the corner, that brings us one month closer to summer vacation; and for many, it means heading out to California or Florida to explore and eat and drink our way through Disneyland or Disney World. But the amusement park just made an announcement regarding strollers that could add a little more stress to your trip, especially for parents. 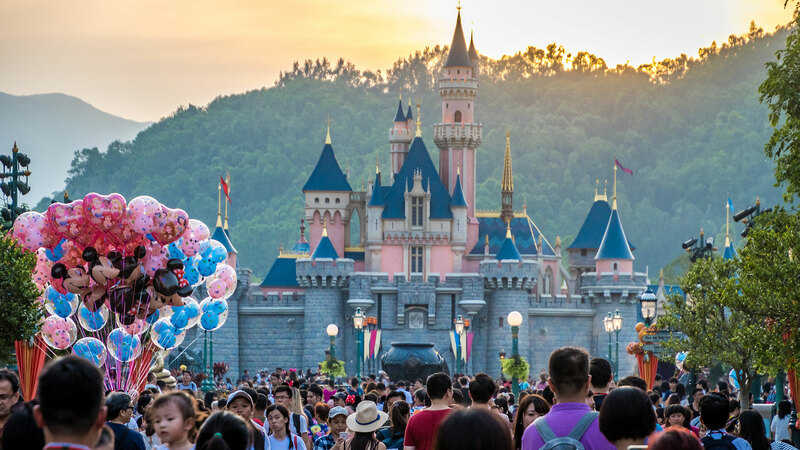 Starting May 1, Disney announced on its website that not only is smoking banned at the theme park, but certain strollers will also not be allowed inside the parks. Parks include Walt Disney World, Disneyland theme parks, water parks, ESPN Wide World of Sports Complex and Downtown Disney. Strollers larger than 31 inches wide and 52 inches long won’t make it inside the park, neither will stroller wagons. However, these dimensions should still include most strollers, including double jogging strollers. If your stroller exceeds those dimensions, Disney will have strollers available for rent for $15 per day or $13 per day for those staying multiple days. Double stroller rentals are available at the Disney World in Orlando. Anaheim’s Disney Resort doesn’t currently have rentals, but it will soon at a date yet to be determined, according to CNN. “Restricting stroller size and prohibiting wagon strollers will, hopefully, eliminate the traffic problems they can cause — blocking walkways, bumping into guests (especially little ones) and taking up space in queues and elsewhere,” Deb Koma, editor of the AllEars.Net Disney fan site, tells CNN. Another Disney ban includes loose or dry ice. So if you’re rolling in a cooler or two, use reusable ice packs, instead; or, you can grab complimentary cups of ice from Disney’s Quick-Service locations. Lastly, for the smokers out there, you can smoke in designated areas outside of the park and in areas at Disney Springs and Disney Resort hotels. But inside the park? Don’t even think about it.